Your finances with be loads of fun with these swirlies! 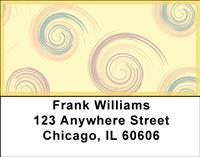 With swirls of color on every check, there's no reason to have plain, dull personal checks again! Plus, with four rotating images, every check you write will be different from the last one! Writing checks has never been more fun!